Evolve is a small British company with a simple aim – to make the best looking and performing guitars and basses that we can for the best price that we can. Our instruments are hand crafted either in the UK or in South Korea by a small and very experienced workshop that does not use CNC machinery. 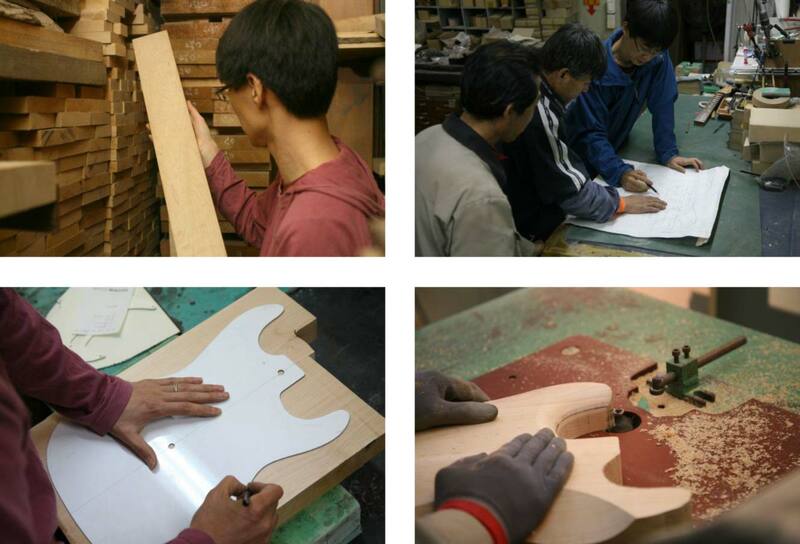 The luthiers are all guitar players themselves and they have a real passion for both playing and making guitars by hand. We believe you can tell the difference between a mass produced guitar made in a huge factory and a guitar hand crafted by a small, skilled team who love what they do. It means there is greater attention to detail and much better quality control. 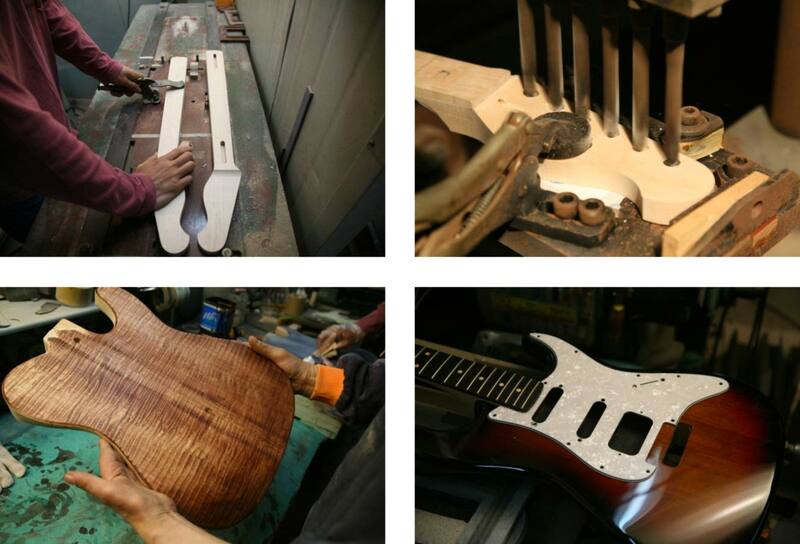 We try to only make models which have unique or unusual features, whether it’s the choice of pickups, woods and finish or the overall design. We listen to players and we believe that small, apparently unimportant details can make a big difference. If you have any ideas for a new design of guitar, send us an email and let us know. If we like it we might make it! When you buy a guitar from one of the big brands, the price you pay is the result of two or more companies, usually the distributor and the retailer, adding their markups on to the manufacturer cost. Sometimes the chain is even more complicated and every extra company involved at this stage adds to the cost without adding more to your guitar. When you buy direct from us you get more guitar for your money as there is no complex supply chain and no high margins. This is how we are able to make carefully hand crafted instruments at the same sort of price that some companies charge for guitars mass produced in a large factory. And as you are dealing direct with the maker, we guarantee you the best possible quality in both the instruments and in customer service, sales support and backup.